Long before they were walking the sidelines in suits and ties, the head coaches of the Turkish Airlines EuroLeague were first fans, players and basketball lovers themselves. EuroLeague.net asked them to cast their memories back to when they discovered the sport and tell us how basketball became the game of their lives. Sarunas Jasikevicius, a four-time EuroLeague champion as a player, has the unique distinction of now coaching the team he grew up adoring as a boy, Zalgiris Kaunas. And last season, he brought Zalgiris back to the Final Four for the first time this century. As an Olympic medalist, European champion and Euroleague Basketball Legend, Jasikevicius is an icon across the continent, but even more so in his hometown of Kaunas. "I was growing up in Kaunas, and I was six years old when I started practicing basketball. My dad just took me to some practices. I remember the gym, I remember the coach at the Kaunas basketball school. I was very happy to be in the gym. 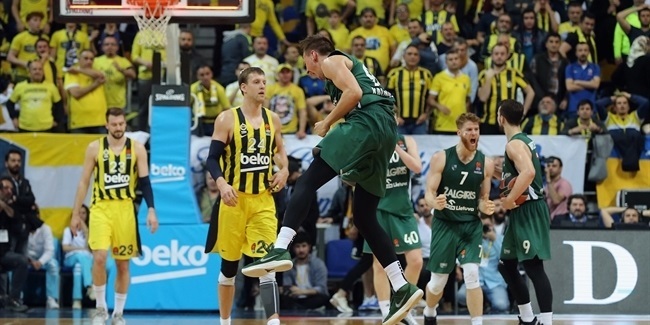 What attracted me to basketball was seeing it a lot on television, watching Zalgiris play. So you kind of fall in love with it. It was very simple, and it just happened. 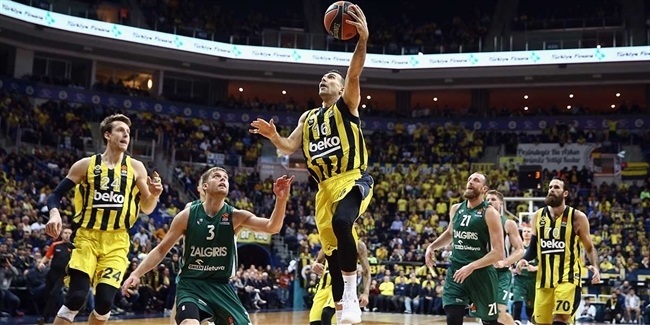 "Every Zalgiris game I could go to would always be a big event for me." "What I liked at first was just being on the court, being with friends. At that time, you don't think about it that much. Just joking, having fun with the other kids, having a good time, running around a lot, without any kind of idea. Typical kid stuff. "And I was a huge fan. Growing up, I was going to the games with my dad, too. My most vivid memories were of the battles against CSKA Moscow. It was close to impossible to get tickets to the games, and there was not a single empty seat. I would just sit on my dad's lap. It was nothing but the best of memories and every Zalgiris game I could go to would always be a big event for me. "I pretty much went to practices by myself. It wasn't far, and I was taking public transportation and going after school to practices, and doing it every day, basically. Then, after sixth grade, when I started attending special sports school, the gym was next door. So after classes, at around 3 p.m., you went right to the practice. "Zalgiris players were my first influences: Arvydas Sabonis, Rimas Kurtinaitis and Valdemaras Chomicius." "Zalgiris players were my first influences: Arvydas Sabonis, Rimas Kurtinaitis and Valdemaras Chomicius. Those guys were huge for us because we mainly watched them on television, and there were not many other choices of games back then. But Zalgiris was always on TV, so they were our heroes. Then, you see what they do, and you start to copy a little bit what you see. 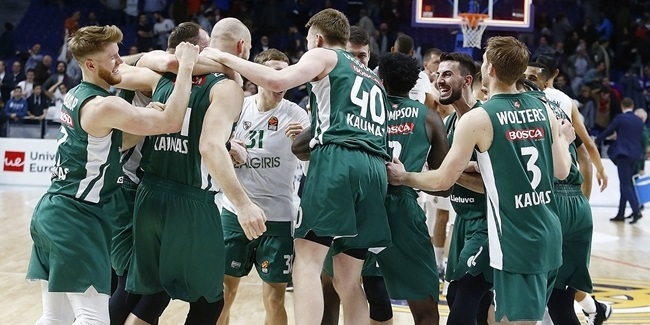 Zalgiris was huge for us. "I always loved the game. It was easy. It was love at first sight. I also always liked tennis and later on, when I went to the United States, I picked up golf and I love golf now. But it was never really a competition with basketball, which was always a lifestyle."